The Montgomery County Office of Drug and Alcohol and Montgomery County Community College’s Student Support and Referral Team will host “The Other Faces of Addiction,” a program designed to help individuals cope with a loved one’s addiction, on Wednesday, Oct. 1 from 6:30-8 p.m. The free program will take place at the College’s Central Campus, Science Center room 214, 340 DeKalb Pike, Blue Bell, and will be simulcast to the West Campus, South Hall room 221, 101 College Drive, Pottstown. During the presentation, participants will learn strategies to care for one’s own life while living with a loved one’s addiction. Family members will share their strategies and triumphs, and Mana Mobile Massage will provide information on self-care, yoga and meditation. To learn more, contact Eileen Lafferty at 610-278-3538 or elaffert@montcopa.org. 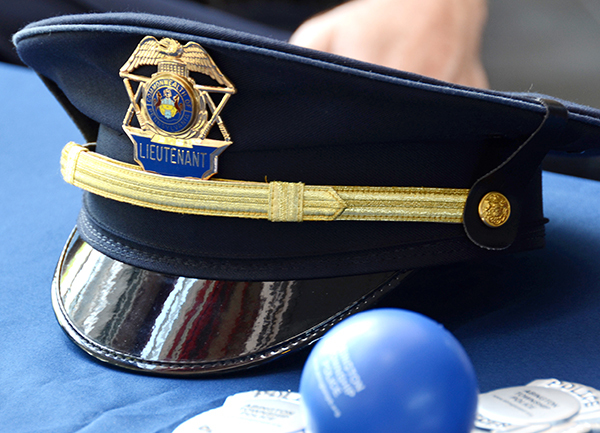 Montgomery County Community College will host its 15th Biennial Criminal Justice and Public Safety Career Day on Wednesday, April 23, from 9 a.m.-2:30 p.m. at the Central Campus, 340 DeKalb Pike, Blue Bell. The event is free of charge and is open to the public, including students from other institutions. For information, contactDirector of Criminal Justice Studies and Fire Science and Emergency Management & Planning Benn Prybutok at 215-641-6428 or bprybuto@mc3.edu. The event begins with an opening ceremony at 9 a.m., which will include remarks by Montgomery County and College officials and presentation of awards. Then, starting at 10 a.m. participants will have the opportunity to meet with top law enforcement, criminal justice and public safety agencies and recruiters in order to become better acquainted with opportunities in these fields. More than 50 exhibitors will be in attendance, including municipal police departments, state and federal law enforcement and investigative agencies, private security companies, public safety agencies, four-year baccalaureate programs and area law schools. Every two minutes, someone in the United States is sexually assaulted, and 75 percent of victims know their attackers. 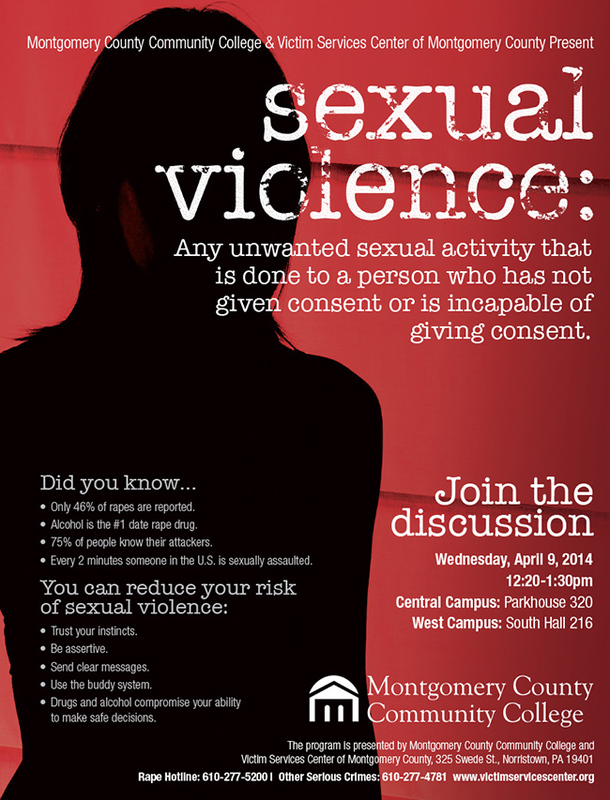 Montgomery County Community College and the Victim Services Center of Montgomery County will present a discussion on the critical issue of sexual violence for students and the community on April 9 from 12:20-1:30 p.m. The program will be held at the College’s Central Campus in Parkhouse Hall room 320, 340 DeKalb Pike, Blue Bell, and will be simulcast to the West Campus, South Hall room 216, 101 College Drive, Pottstown. The program is free and is open to the public. To learn more, visit victimservicescenter.org. 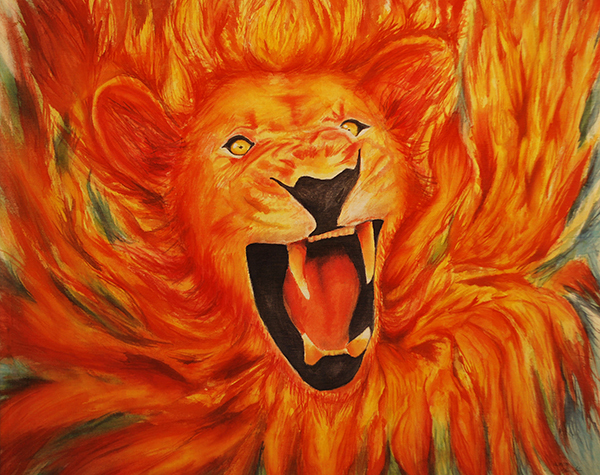 Montgomery County high school art students will showcase their artwork at Montgomery County Community College’s 36th Annual Montgomery County High School Art Exhibition and Competition starting Sunday, March 2, through Friday, March 21, at the Fine Arts Center Art Gallery at Central Campus, 340 DeKalb Pike, Blue Bell. The opening reception will be held Sunday, March 2, from 1 to 3 p.m. with the awards ceremony at 2 p.m. The exhibition is free and open to the public. Students from 32 public, parochial and private schools in Montgomery County were invited to participate in the exhibition. The artwork features a variety of subjects and styles in an array of media. College art faculty members will be judging the artwork. Gallery hours are Monday through Thursday, 8 a.m. to 9:30 p.m., Friday, 8 a.m. to 4:30 p.m. and Saturday, 9 a.m.-5 p.m. Closed Sunday, except for the reception. For more information about the exhibition, contact Gallery Director Holly Cairns at 215-619-7349 or hcairns@mc3.edu. Class 1302 Valedictorian Cadet Hope A. Sanderlin addresses cadets. Thirty cadets graduated from Montgomery County Community College’s Municipal Police Academy on Nov. 13 during a ceremony held at the College’s Science Center Theater, 340 DeKalb Pike, Blue Bell. Skye McLaughlin sang the National Anthem to begin the ceremony, followed by a moment of reflection from Director of Criminal Justice & Fire Science Programs Benn Prybutok. Chief Robert A. Schurr from North Coventry Township Police Department was selected by class 1302 to give the keynote address. During his remarks, Schurr, who is an instructor at the academy, spoke about the unique role held by police officers in the community. Montgomery County Commissioner Bruce L. Castor Jr., County Detective Lieutenant Jim McGowan and County Deputy Directory of Public Safety Jesse Stemple also attended the ceremony, along with representatives from Abington, Drexel University, Delaware River Port Authority, East Norriton, Lititz, Lower Merion, Pottstown, and Springfield police departments. Earning the highest GPA in her class, Cadet Hope A. Sanderlin, Philadelphia, offered remarks on behalf of the graduates. In addition to serving as valedictorian, Sanderlin also earned the Spirit of Distinction Award. Academy Director Frank Williar presented several other awards during the ceremony, including the Leadership Award to Cadet Lt. Andrew Thiel, Bedminister, and the James R. Miller Marksmanship Award to Eric Lacovara, North Wales. The award is presented in memory of Upper Dublin Police Sergeant Jim Miller, who died in an automobile accident while on duty in 2004. Williar also introduced a brand new award that will be presented annually to an outstanding Academy instructor. The Charles O. “Chip” Pritchett Exceptional Instructor of the Year Award is given in honor of former Academy Deputy Director Chip Pritchett, who lost his battle with cancer last month. The award was presented to Abington Township Police Department Director of Training Bob Sands, who has taught at the academy for more than 25 years. Cadets from class 1302 attended the academy full time, Monday through Friday for 22 weeks. Graduates include Octavius Baker, Pottstown; Kenneth Berger, Philadelphia; Zachary Bubnis, Horsham; Scott Burnick, Collegeville; Carlos Cartagena, Lansdale; Nicholas Catagnus, Norristown; Adam Clark, Lansdale; Michael Corbo, Norristown; Michael Damiano, Collegeville; John D’Amico, Pottstown; Dominic Dovidio, Warminster; David Engle, Levittown; Anthony Fischer, Lansdowne; David Fleishman, Elkins Park; Robert Kerstetter, Norristown; Eric Lacovara, North Wales; Ian McAnlis, Langhorne; Michael Mullen, Pennsburg; Chris Neal, North Wales; David O’Neill, Plymouth Meeting; Daniel Quinn, Levittown; Brian Reguera, Horsham; Brian Roth, Lower Pottsgrove; Hope Sanderlin, Philadelphia; Andrew Saurman, Abington; Andrew Thiel, Bedminister; Francis Toth, Boothwyn; Phillip Voorhees, Lansdale; Edward Washington, Willow Grove; and Adam Wolfinger, Quakertown. Montgomery County Community College, in conjunction with the state training commission, operates the Municipal Police Academy at the Montgomery County Public Safety Training Campus, 1175 Conshohocken Road, Conshohocken. The academy has been the training ground for approximately 3,400 cadets with a consistent graduation rate of more than 90 percent. The 800-hour curriculum allows successful students to articulate up to 15 credit hours toward an associate’s degree in Criminal Justice Studies. The Dental Hygiene Clinic at Montgomery County Community College’s Central Campus in Blue Bell is recruiting patients with periodontal (gum) disease for the fall semester. Patients will be screened for eligibility on Monday, Sept. 16, from 8:30-11:30 a.m. by appointment, and those who qualify will begin treatment the following week. The treatment includes complete assessment of the patient’s oral and periodontal health, dental x-rays (if necessary), education in self-care, scaling, tooth polishing and fluoride treatment. Multiple, three-hour appointments will be necessary. Interested persons should contact the Dental Hygiene Clinic at 215-641-6483 and leave a message with their name and telephone number. The Clinic is located in room 211 of the Science Center, 340 DeKalb Pike, Blue Bell, near the Morris Road entrance to the campus. Whether it’s bucolic landscapes, historic buildings or caring neighbors, Montgomery County senior artists will be sharing what they love most about their home county through their artwork at a special art exhibition, Courting Art, led by the Montgomery Bar Association (MBA) and its Community Outreach Committee (COC). Montgomery County Community College will be showcasing the seniors’ artwork from 10 a.m.-5 p.m. on Friday, May 10, and Monday, May 13, at its Fine Arts Center Gallery, 340 DeKalb Pike, Blue Bell. The public is invited to this free special art exhibition, and parking is available in the lot off of Route 202. Courting Art is a new arts initiative created by MBA and its COC. Through a series of juried art exhibitions, Courting Art will promote and share the artwork of Montgomery County senior artists in the interior of the Montgomery County Courthouse. This year’s inaugural contest and exhibition features the theme, “What I Love About Montgomery County.” Montgomery County senior artists, age 55 and older, were invited to create and submit original artwork on May 7 for the juried exhibition and contest. The panel of judges for the art exhibition will include, among others, sitting judges from Montgomery County’s 38th Judicial District Court of Common Pleas. More than a dozen prizes, including a grand prize of $1,000, will be awarded during an awards ceremony on May 13. The winning selections will be reproduced and displayed on the walls of the Montgomery County Courthouse. During that same week, May 6-10, and as part of Older Americans Month, the College will be the setting for the 28th Annual Montgomery County Senior Games, which includes an array of friendly competitive activities. The week concludes with a free Senior Expo from 9 a.m.-12 noon in the College’s Physical Education Building with more than 50 exhibitors with free products and services. In addition to partnering with senior community events, the College is expanding its support for older learners, as part of its recent participation in the American Association of Community Colleges’ Plus 50 Encore Completion program. With this program, an academic advisor will help plus-50 learners plan their educational course to launch another career, taking into consideration life experience. For more information about the Courting Art contest and exhibition, please visit CourtingArt.com. For information about the Montgomery Bar Association or its Community Outreach Committee, contact Jim Mathias at the Montgomery Bar Association at 610-994-3660, or by email at jim@montgomerybar.org. For more information about MCCC’s Fine Arts Center, contact Gallery Director Holly Cairns at 215-619-7349 or hcairns@mc3.edu.